GIGAWATT PC-4 EVO+ is the flagship power conditioner model and regarded as one of the best and most advanced constructions of the world. While LED display. Besides the three basic display colors, a white LED display is available at a surcharge. Voltmeter display switch – allows for switching off the display. Output power sockets in a different standard. 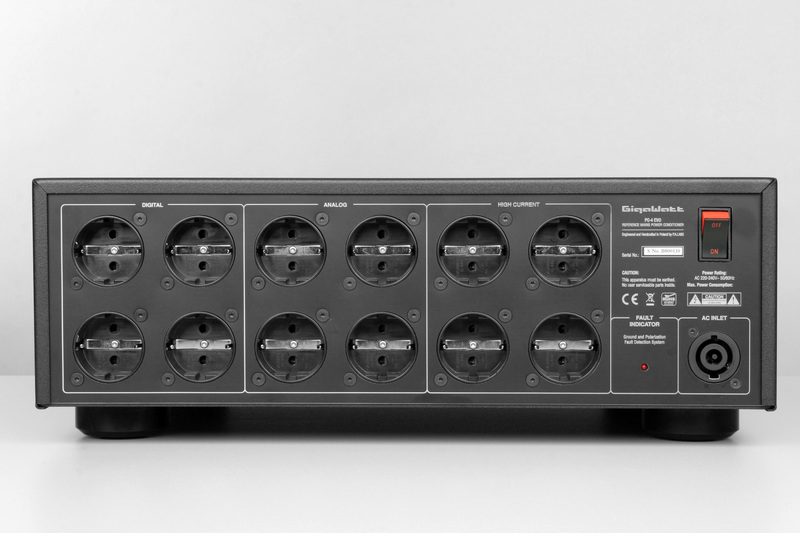 The PC-4 EVO+ is equipped with the G-040 Schuko power sockets used in most European countries. To protect your children, those sockets can be equipped with automatic anti-surge protection (improved protection conform with VDE 0620). Also available are versions with sockets in other standards like: NEMA 5-20R, used in North America and some Asian countries, or AS/NZS 3112 used in Australia. “The dynamic fluctuations with PC-4 EVO+ are very fast, and clean. Replaying the “Danza Pastorale: Allegro” of Lu Siqing’s “Four Seasons:Spring”, the violin is light and sweet in high definition, the string group is dense and delicate, light and lively. The soft sound is full of air and full of life. “With PC-4 EVO+, the dynamic margin is far-reaching. The bounce is stronger, the sharpness is higher, each note contains a richer level, the resonance structure is more differentiated, the mute details are better. And it is like if the sraight line was more straight. The beauty of the rise and fall! “When the full set of audio system is powered by PC-4 EVO+, the sound is not limited in anything. On the contrary – we get a fierce, full of vitality dragon. The lower registers go down even at the edge, they are strong and powerful. Don’t forget that the amplifier is a pair of Audio Research Reference 160M large monophony with 4 KT150 strong-release tubes per channel. This is the most complete energy test that shows how powerful the PC-4 EVO + capabilities are. I was a little reluctant to try the Gigawatt on my ATC P1 power amp because conditioners that work on high power amplifiers are like gold dust; in fact, the only one I’ve found (Isotek EVO3 Super Titan) costs a bundle and makes most power amps seem compact. But I was glad I did as the result was fascinating and not dissimilar to that achieved with the Class D amps. This time, however, the transition was from A/B to a Class A sound, so much so that I lost many hours to the charms of the resultant effects. 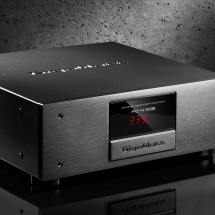 Ultimately, connecting the Gigawatt to the ATC P1 power amp gave the sound an ease and finesse; an effect you would have to pay significantly more for than the price of the power amp and conditioner combined. Immensely revealing, beautifully timed, tonally rendered, and totally fluid, the effect was like listening to a powerful valve amplifier with very little in the way of valve character. The music became engrossing, and tracks like the bass heavy ‘Limit To Your Love’ [James Blake, R&S], which often overpowers the room, became pure and radiant. I also tried the Gigawatt with digital sources, the Melco N1A NAS/transport via an Ayre QB-9DSD, granting the music a vinyl like quality – and I’m not talking about pops and clicks; rather, the music sounded cleaner and more fluid, and could be played at higher levels without discomfort, with brass still blasting out when it should. Connecting the already extremely natural sounding Ayre produced bigger imaging, full-scale soundstages with fine detail, and gave texture to bass lines that had sounded amorphous while making lyrics easier to understand. I have reviewed a few conditioners and regenerators over the years and always had positive results, but pound for pound I don’t think any have come close to this. The Schuko factor is a pain, but it might well be something to do with the final result, so it’s a pain with gains in terms of resolution, finesse, and musical coherence. With the Gigawatt, hearing is believing if you want to take your system into another league. GigaWatt’s system delivers higher dynamics than the Japanese one. Sound seems even more open with it. The proportions between mid-bass and the rest of the range are more accurate. A differentiation of the soundstage is better, and so are both range extremes. I also think that Gigawatt took a selectivity of my system at least one level up. 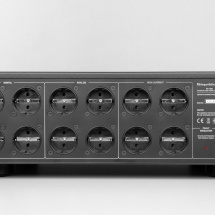 The biggest disadvantages of power conditioners is some limitation to dynamics they introduce for power amplifiers connected to them. 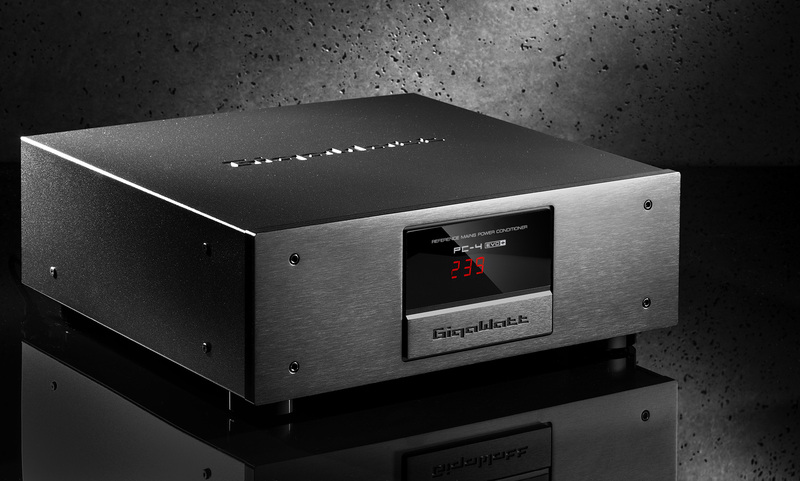 Soulution 710 is particularly sensitive in that area as it is a particularly dynamic amp. Any change to its dynamics is always clearly audible. To my surprise there was no sign of any limitation with GigaWatt. What’s more, I was under impression that this power conditioner even further improved my amplifier’s dynamics. The Polish conditioner defines more precise images thus allowing listener to look deeper into the soundstage. On one hand everything that is happening in the front of the stage seems closer than usually, on the other listener can “see” deeper into the soundstage. It’s like the space between the front and the back of the stage became clearer, more transparent and that’s what allows to look deeper. “The PC-4 Evo should receive a diploma, the highest possible grades. It is the best Gigawatt conditioner by far, and the best device Adam Szubert created in his career. It presents the state of the art sound and has this nobility and charm – however those descriptions would not sound when describing a conditioner – which fit the high-end systems”. Truly state of the art level of manufacturing and sound. The Gigawatt PC-4 Evo is objectively so good, that for the first time I am not missing the Shunyata. And that it is expensive, well… quality must cost. Please listen to it. Foremost, the GigaWatt’s PC-4 EVO represents the state-of-the art of power conditioners. It is more effective than any other filtering device that I have come across since I reviewed Accuphase’s PS-500 back in 1996 – that is in the last fifteen years. The PC-4 EVO provides more solid sonic pictures than my modified Nordost’s Thor power distribution system, more transparent, open and dynamic sound than PS Audio´s Power Plants and by far better connectivity than Accuphase’s brand new PS-520 or PS-1220. 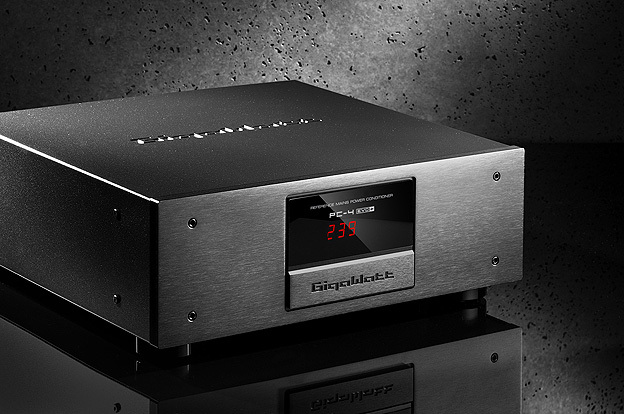 Phenomenally built conditioner that will fit even the most expensive hi-end systems. Congratulations!!! Wojciech Pacuła – Editor-in-chief. “No doubt the acoustics surrounding instruments had become much better. That’s why the strikes at the edge of a drum on “Corcovado”, a piece from the We Get Request recording by Oscar Peterson, had more air around them with the PC-4 feeding the system. It’s a paradox but exactly why these strikes were stronger and more coherent with the rest of the sound. I think this is the correct sound – the one we should be trying to achieve. The sound with the PC-4 opened up very nicely not because of increased treble energy. As stated earlier, from the first moment you have the impression that the upper midrange with the conditioner is smoother and darker. Despite that, everything is clearer, soundstage depth expands and so do the spaces between the performers as though everybody on stage moved away from each other so you can see them better. This hilarious effect of better clarity with a smoother top end was easily noticeable on e.s.t.’s Viaticum especially on my favorite track”The Well-wisher”. It is very warm and focused on coherence. Any extraction of details isn’t good because sounds start to stick to each other. The recording was mastered such that the sound is very dense and it has to be played with utmost precision to not ruin the whole effect. I think that my system manages it very well and I liked it before with the power strip. But with the PC-4 it got even better – much better. Better is a cliché like putting a pillow under your head but I can’t help it – better is what you get when using a PC-4 in your system.